There are two sides to South Glenbrook Drive, running mostly parallel to Duck Creek, from downtown Garland to it's terminus at Centerville Rd, near 635/LBJ, it serves both as a thoroughfare, and residential neighborhood. For those aware of it's existence, Glenbrook drive serves as a quieter, more scenic(by Garland standards), alternative north/south route to busier/uglier streets like S. 1st Street. From Downtown Garland to Miller Road, the four lane Glenbrook Drive is purely thoroughfare as it traverses Downtown businesses, a cemetery, parkland, and passes conveniently underneath slow, disruptive freight trains, which can snarl traffic on other, busier, thoroughfares. South of Miller Road, Glenbrook aligns itself with Duck Creek, and narrows to two lanes as it transitions into charming 1950s residential neighborhoods, where you are surrounded by a canopy of tall trees. The homes, some of them large and sprawling, are mostly all well kept, and each have their own individual personalities, unlike many of Garland's other cookie cutter neighborhoods. With the winding streets, and tall trees, South Glenbrook feels a lot like many streets in Lake Highlands, but a home here can be had for half the price. 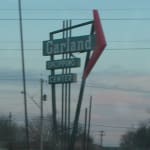 "Runs through Central Park in Garland." South Glenbrook Drive has its good point and not so good points. It runs through Central Park and is absolutely beautiful in this area. Then it runs along the railroad tracks up to downtown Garland. It also extends south and runs along the edge of Oden Park. It is a great street to get around on.